Hello Tampa Bay, anyone looking for a fun family event for this weekend? If so, Alex here to let you know about a festival taking place in Ybor City. 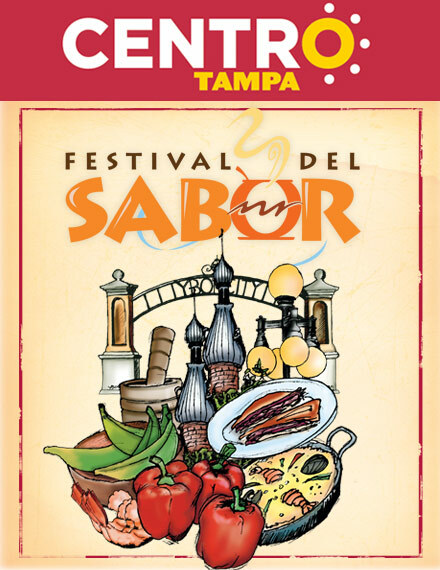 The 6th annual Festival del SABOR will be held on Saturday, September 10, 2011 at Centennial Park (corner of 8th Ave and 19th St) in historic Ybor City from noon to 5 p.m. The family-friendly event showcases the SABOR (or Flavor) of Tampa Bay&apos;s Hispanic culture through food, music and art. Festival del SABOR is Tampa Hispanic Heritage, Inc.&apos;s official kick-off celebration for Hispanic Heritage Month. The event will mark Tampa Hispanic Heritage, Inc.&apos;s 32nd anniversary of preserving and promoting Hispanic culture in Tampa Bay. Festival del SABOR features a recipe contest and cook-off to find Tampa Bay&apos;s Best "Arroz con Pollo." Amateur cooks are encouraged to participate in order to win up to $700 in prizes. Prizes will be awarded for best recipe and most creative recipe. There will be a children&apos;s area, sponsored by the Glazer Children&apos;s Museum and a stage featuring local talent, including Danny Lozada and The Regio Boyz. The 2011 Tampa Hispanic Heritage Cultural Ambassador will also be selected and announced during the event. For more information about this event, please visit www.YborMarket.com. Check back with us next week for updates on Things To Do in Tampa Bay!